Wishing that there was an easier way than using Notepad as a “middleman” to remove formatting from text that you are copying and pasting? With PureText you can easily remove that formatting with a simple Windows hot-key combination. The wonderful thing about PureText is that it is a portable app style exe file that requires no installation. Simply place the file in a location that best suits your needs (i.e. a home folder in Program Files), create a shortcut to it, and you are ready to go. Normally a copy and paste is the tried and true “Ctrl + C” and “Ctrl + V”, but then there is still all of that irritating formatting to sort out. 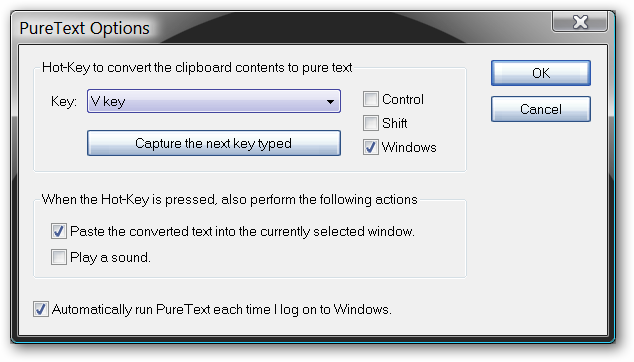 With PureText it is as simple as “Ctrl + C” and “Windows Key + V” (default hot-key setting)…instant plain text goodness! Once you have PureText started, it can be easily accessed with the icon (PT symbol) in the System Tray. Right clicking on the PureText icon will display the following menu. The Options Window for PureText. There are not a lot of configuration settings that you will have to deal with…mainly deciding if you want PureText to start each time with your Windows installation (definitely recommended!) and the hot-key combination that you would like to use for PureText. Here you can see that there are a lot of possible hot-key combinations to choose from if you do not like the default “Windows Key + V” setting. 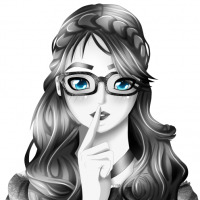 PureText makes removing formatting so easy, you will wonder how you ever survived without it!